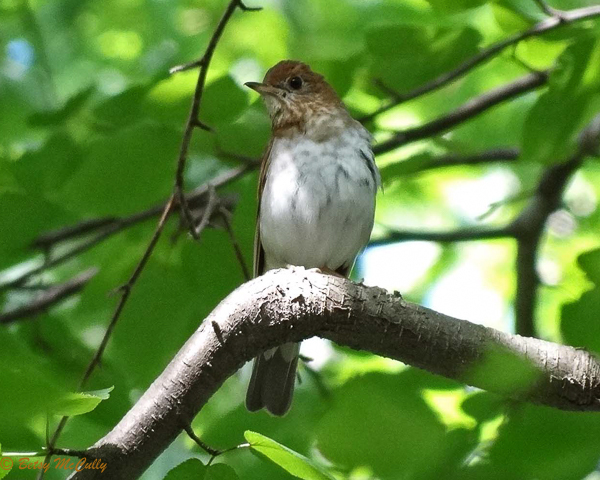 Veery (Catharus fuscescens). Forests. Breeder.